The SVO (Subject-Verb-Object) cognate syntax provides both cognate and non-cognate text with an interesting amount of intelligibility and predictability. As a result, it is not only the fact that there have been lexical cognates in all the examples given so far what has provided you with the sense of acquaintance, but also the fact that a cognate syntax has subconsciously always been there to assist. The heavenly SVO Cognate Syntax does not feature thousands of items as in the case of the cognate lexicon which ultimately needs a dictionary. Nevertheless, this simple formula is what joins isolated words into concrete messages. The SVO syntax is a linguistic feature of cognate languages and it is the means to give life to cognates. The simplistic SVO approach is not new. 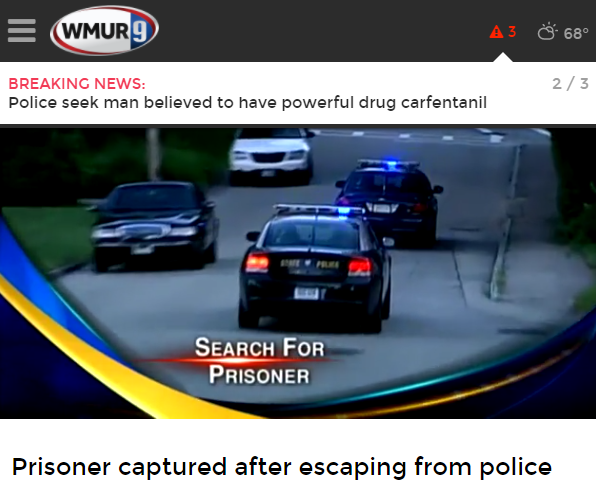 Prisoner captured after escaping from police. Prisionero capturado después de escapar de la policía. Prisioneiro capturado depois de escapar da polícia. Prigioniero catturato dopo aver scappato dalla polizia. Prisonnier capturé après avoir échappé à la police. Looking back in time, Thomas Prendergast (1806 - 1886) tried to mechanize English grammar for foreign learners with his Mastery System. An interesting component of his system was 'The Labyrinth'; a chart used to form sentences out of two already provided. The idea was to generate language by adding or changing elements from the two sentences portrayed in the chart, but without modifying the SVO framework. Similarly, Palmer (1840 - 1882) and Hornby (1898 - 1978) analyzed English from a sentence patterns perspective using substitution tables as that of Prendergast. At present, these mechanical combinations may sound so unrealistic that many would forecast failure; in this communicative approach era we are living, there seems to be no room for anything that does not fulfill the requirement of 'spontaneity'. Today, according to Linguist Noam Chomsky, every intelligible sentence conforms to a universal grammar underlying all languages. He claims that this innate knowledge is often depicted as a limited set of grammatical rules and terms that let humans produce an infinite number of sentences. Matthew S. Dryer, from the Department of Linguistics at the University of Buffalo, is much more specific for our purpose and points out that there is a Basic Linguistic Theory, which is the theoretical grammatical framework of entire languages (Dryer, 2001). In the case of Germanic and Romance Languages, this core structure is the SVO syntax: the order of subject, verb and object in a sentence; a finite pattern for the creation of an infinite number of sentences. We have to consider that, unlike any other language teaching trend, the SVO awareness approach cannot become outdated or obsolete because it is based on acquiring languages through their unchangeable structural nature. Although style and usage changes may occur over time, the syntactic foundation of cognate languages will not change.